Are you thinking of making some extra money moonlighting as a rideshare driver in your spare time for Uber, Lyft, or any of the other rideshare, ride-hailing, or transportation network companies? Before you download the app and hop in your car to go speeding off to pick up passengers, there is an important first step you need to consider first. I’m talking about auto insurance, more specifically, a rideshare insurance policy. Do You Really Need A Rideshare Policy? Lets face it. Insurance companies are in the business of making money and the less they have to pay out for accidents, the more money they keep. As a ridesharing driver, you will be spending more time on the road behind the wheel. It is not if you’ll get into an accident, but when. Whether you choose to get a rideshare-friendly policy is your choice. When you are driving for Uber or Lyft, you are considered to be using your vehicle for business purposes and your regular personal auto insurance may not provide coverage, placing you in additional financial and legal risk. No coverage in an accident – If your insurance company finds out you are an Uber or Lyft driver, they can decline to cover you in case of an accident. When you are driving around under what Uber and Lyft calls “Period 1”, you do not have collision coverage provided by them. This means if you are in an accident where are you at fault, you will be responsible for 100% of the repairs for your vehicle. Side hustling as a ride-hailing driver may not seem so worth it if you need to buy a new car to get to your primary job. Reduced coverage in accident – Again, under Period 1, both Uber and Lyft provides $50k per person bodily injury, $100k bodily injury total, and $25k in property damage coverage. If you are found at fault in an accident and are party to a lawsuit, any damages over those limits, you are responsible for paying out of your own pockets. Dropped from insurance – If your insurance company finds out you are a ridesharing driver, there is a chance they will cancel your insurance. Whether they will find out or not, no one really knows. They are more likely to find out if it was mentioned in the police report for an accident, or if they call any passengers or other drivers to get their side of the story. Higher insurance rates – If you do get your car insurance canceled by your insurance company for using your car for business purposes, there is a good chance you will be paying higher rates at your next insurance company. All insurance companies report claims data and incidents to the CLUE database. Your CLUE report is like your credit report, but for insurance. Before quoting you rates and taking you on as a customer, your next insurer will check your CLUE report for any blemishes. “Periods” are what Uber and Lyft call the different events during the rideshare process. When you are offline (lets call this Period 0), you are covered by your personal auto insurance policy. Once you start the Uber or Lyft app, the different periods determine the type of coverage is available to you. As you can see in the above table, as an Uber or Lyft driver, you are most at risk during Period 1 when you are waiting for a request. You have much lower bodily injury coverage limits of 50/100/25, no under/uninsured motorist coverage, and you do not have collision or comprehensive coverage for you car. During this period if you do not have rideshare specific insurance, your personal insurance likely won’t cover you either because you are on-duty and using your car for commercial activities. For periods 2 and 3, the rideshare companies provide $1 million of liability and under/uninsured motorist coverage. However, comprehensive and collision coverage is only available if you have those coverages on your personal insurance. You should note that Uber’s comprehensive and collision deductible is $1,000 and Lyft’s is a lofty $2,500. I’ve come across an online posting where one driver got into an accident in Period 3 while driving for Lyft and found that their insurance company wouldn’t touch the claim nor pay for a rental car because they were driving for Lyft. They had to cough up $2,500 to fix their car while Lyft also declined to pay for the towing and storage fees. If you don’t want to risk having a claim denied for an accident while you are in Period 1 because you only have personal car insurance and you don’t want to sit around in a parking lot waiting for a ride request, you have a couple options. Taxis and delivery vehicles driven for business have traditionally used commercial insurance policies. As a rideshare driver, purchasing a commercial policy is always an option. But for most drivers, this might not be a practical solution since these policies can cost $500-$600 a month. That is a lot of money to shell out if you do not plan to drive for Uber or Lyft full time. Luckily as the insurance industry evolves to cater to the growing popularity of the new sharing and gig economy, there are more and more options appearing each day. Almost all the major insurance carriers have begun to offer rideshare insurance or endorsements to drivers. Not all carriers offer coverage in all the different states however, but some online searching shows that Allstate, Geico, and State Farm are the most widely available, followed by Farmers and USAA. If your insurance carrier doesn’t offer rideshare coverage in your state, it might be a good time to get quotes from other companies. Rideshare insurance is less expensive than a commercial policy and auto insurance premiums with the coverage usually range between $100 and $200 a month. As of May 2018, the table below shows the states in which rideshare insurance is available by the above listed insurance companies. 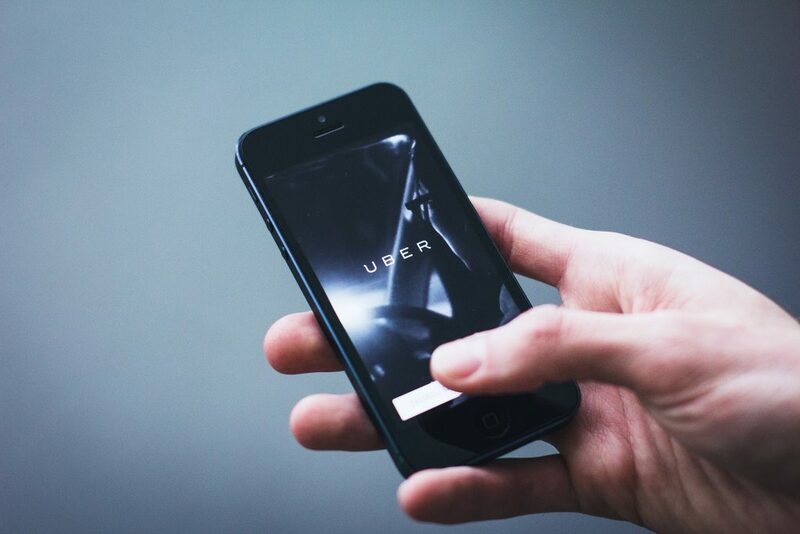 When investigating rideshare insurance, know that not all policies are created equal. Some policies may allow ridesharing, but do not cover you any time when you are logged into the app. Other companies may only extend coverage through Period 1, while others will cover you during all periods, and others such as Allstate will also cover the difference in the deductible for collision coverage between your personal insurance and Uber’s $1,000 or Lyft’s $2,500 deductible. Since rideshare insurance is not available in every state, you will need to check with your insurance carrier’s website or your insurance agent to see what is available. While some people might decide to go without rideshare insurance initially because they want to try driving for a transportation network company to see if they like it, if this is something you choose to do regularly, getting rideshare insurance is something that you should look into. After all, no one wants to go into a side hustle to earn additional money only to come out of it worst off. Have you tried driving for any of the ridesharing companies? Did you purchase rideshare insurance? What’s your experience with finding an insurance company for your ridesharing activities?